Had a bonus room over garage sprayed with open cell spray foam. I had 5 different insulation/Spray Foam contractors bid on the project. The price range for them all were really about the same, but it was like comparing apples to oranges. I went with SE Insulation b/c their proposal made the most sense. Big difference in the comfort level of the room big difference. Later on down the road I will let them do my whole attic they know what they are doing. 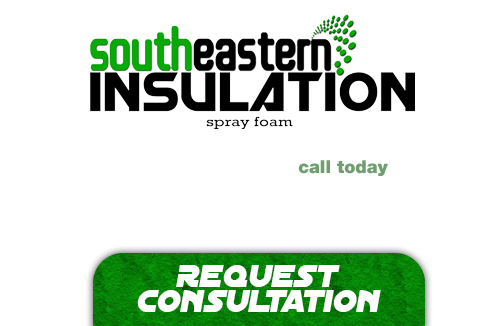 When choosing a spray foam contractor you better choose a company that knows what they are doing and SE Insulation is that company. The experience of trading with Adam and his Company was positive. Product knowledge, customer service attitude, timeliness, and price were good.Currently, we have not moved in the house that we are renovating; so time will tell if we experience the lower utility bills: I think we will. I found Adam to be very knowledgable and his team delivered the quality he assured. I found this to be one of those times I have gotten excellent work at a fair price, especially as a residential homeowner! I will be referring my network to his company and I hope you choose to give them an opportunity to quote your needs! This service was better than I could have ever imagined. The team arrived first thing in the morning and worked continuously while they were at my home. They made sure everything was covered before work and cleaned up after. The spray foam insulation made a HUGE difference in the temperature in my home just before the extreme change in outdoor temperature. Adam returned to my home a few days later to check the status of my spray foam insulation and noted that it was abnormally hot in the attic. After a relentless search I had some loose ducts and he went out of his way to fix them although they were out of range for his service. I really appreciate Southeastern Insulation. Also the price was very reasonable compared to the other companies. They WILL be doing my basement and garage soon. I give them 6 stars out of 5. Thanks Adam, Jeremy and team.